What Does Hebrews 2:16 Mean? The wages of sin is death, but the Son of God set aside His heavenly glory, in order to clothe Himself with human flesh, and take upon Himself, the punishment that we deserve, so that by faith in Him, we might be forgiven of our sin, and returned into the same, privileged fellowship with the Father, that man enjoyed before the fall - but to do so God had to become man. Man had been given dominion over God's creation. However, when Adam fell, his God-given position, as ruler over the earth, was relinquished, due to his own, foolish disobedience. His authority was transferred into the hands of Satan, a rebellious cherubim - a fallen angel who desired to become like God. One third of the angels fell along with Satan, but God did not plan to redeem angels. God's redemptive plan was for humanity.. which required Christ to become a human being. And so He was made a little lower than the angels, so that through His suffering and death, on behalf of all mankind - He might taste death for everyone.. and bring many sons to glory. It was the fallen children of Adam that God purposed to redeem, for assuredly, we read, the Lord does not give help to angels, but He gives help to the descendant of Abraham. 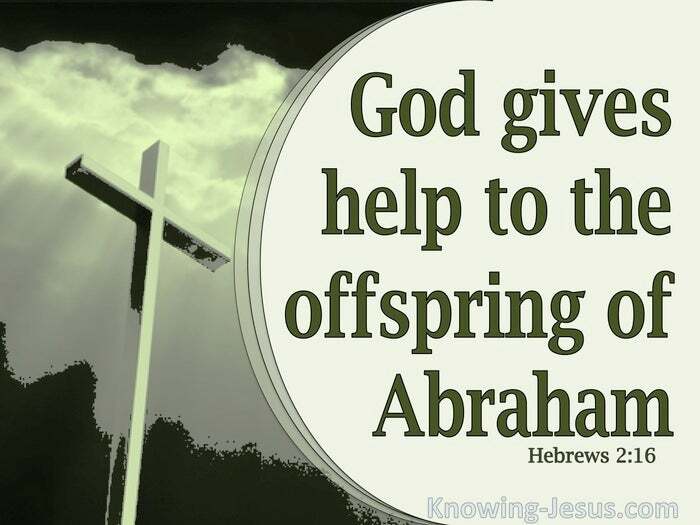 Abraham was the man through whom all the families of the earth were to be blessed. His Seed (the Lord Jesus Christ) was to come to earth as mankind's Kinsman-Redeemer, and He was to save His people from their sins. He will save Abraham's physical descendants (the Jews) at the end of the great tribulation and He saves Abraham's spiritual descendants (the Church) during this post-cross dispensation of grace. Abraham was a man who believed God, and his faith was credited to him as righteousness - such that all men and women, who share 'like-faith' with Abraham, are also credited with righteousness and become his descendants. 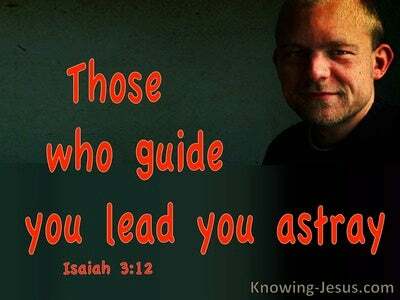 We are all doomed sinners.. fallen creatures, deserving of death, and yet God sent Christ to atone for our sins. What amazing grace.. that God should send His only begotten Son into the world to save sinners. 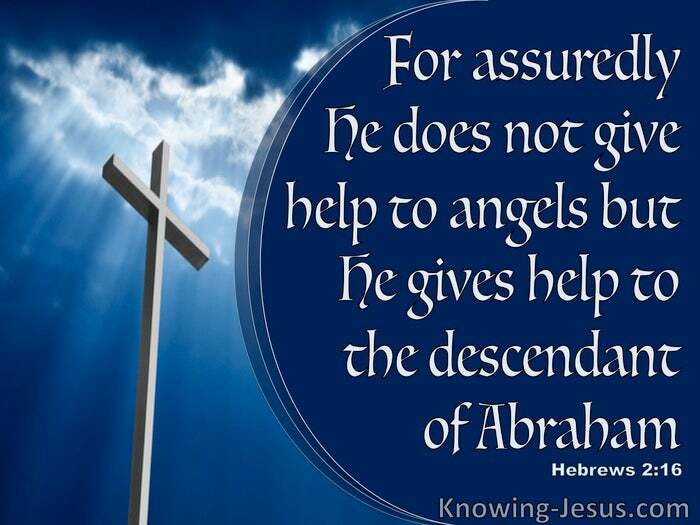 For assuredly, we read, He does not give help to angels, but He gives help to the descendant of Abraham. He does not give help to angels, but He gives help to men, who live by faith - and their faith is credited to them as righteousness. Heavenly Father, what amazing grace to realise that You did not save the angels who sinned, but instead, You chose to save the sinful race of man. 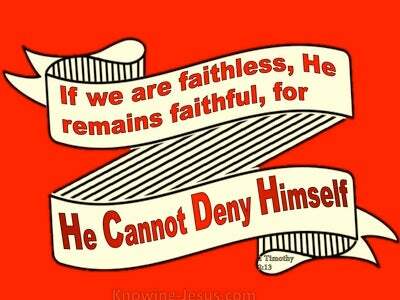 Thank You that Jesus became a Man, and was born into this fallen race of disobedient sinners.. yet without sin. Thank You that He set aside His heavenly glory, and was made a little lower that the angels, in order to become like one of us.. so that by faith in Him, we might be redeemed through His precious blood. 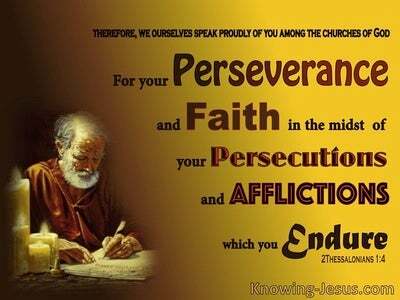 Thank You, that by faith, I have been redeemed - to Him be all praise and glory, in Jesus name I pray, AMEN.